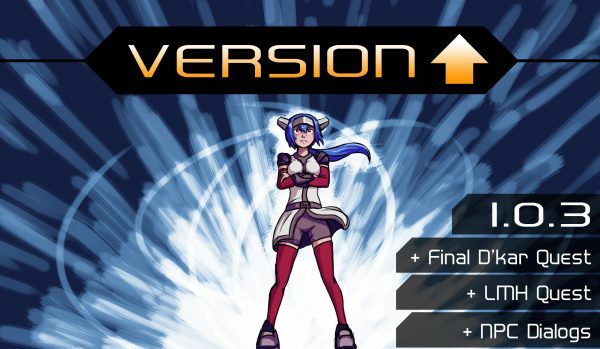 « Vote for CrossCode at SXSW Game Awards! With this version we fulfill our long-standing promise to finally conclude “A Promise is a Promise” quest line! And here it is, complete with a new boss fight and a fair bit of plot development! 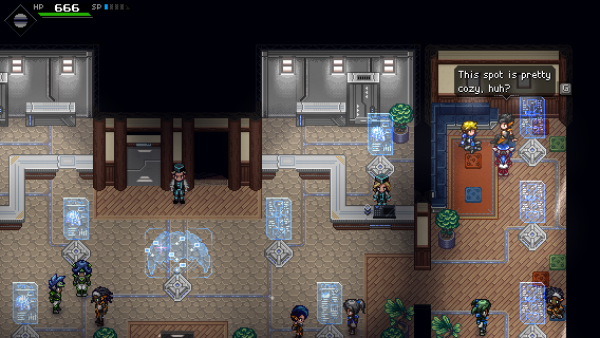 Have a look around Rhombus Square and you might spot D’kar in a new building you can enter! 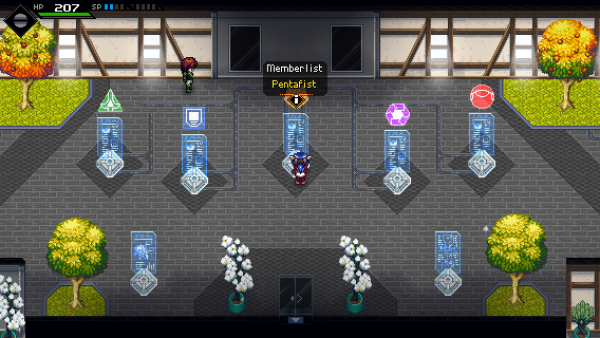 In other news: The Last Minute Heroes guild headquarters is finally open to everyone! And they even have a quest for you! However, you’ll actually find that one in Sapphire Ridge towards the end of the game. Check out the bulletin board in the Cave Inn! 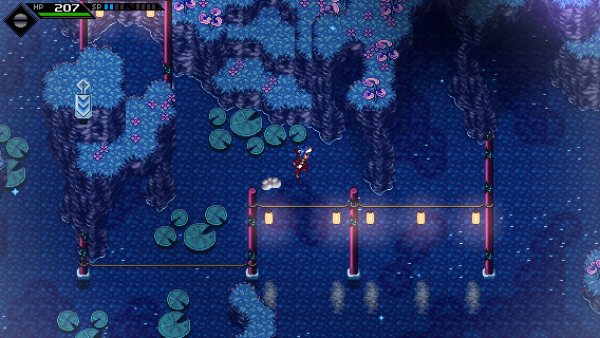 You might also notice that a new consumable item is dropped by the Moon bugs in Sapphire Ridge – you’ll also find it in the Backer Store of Rookie Harbor. And finally, if you’d like to see Lea acting out a very, very dated meme, try the new Caramelldansen bonus code. Another feature we’ll work on next is the New Game+ mode that will allow you to replay the game with certain aspects changed. What aspects exactly? More about this in the next blog post! Look great so yeay let’s go play the end of that quest!!! Thank you again for all the hard work you continue to put into this. 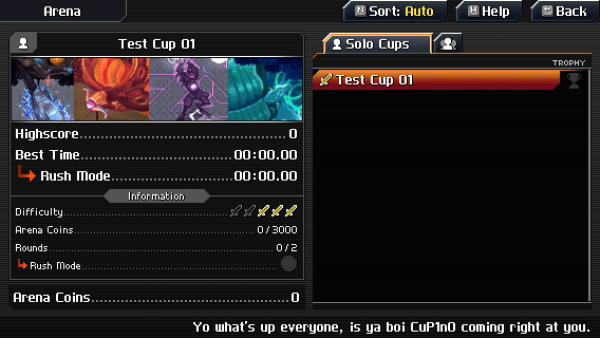 I’ve had a ton of fun with CrossCode so far. Is the new game plus content the same thing as the post game content? Im pretty sure not but just wanted to ask. New Game+ is something else, it’s a way to replay the game with certain things changes. It will come with a free update. Looking forward to this! But please make sure we can unlock NewGame+ by a bonus code. I played CC on PC and want to play NewGame+ on Switch (without first playing the whole game again). Whoah, not only did GoG update their downloads to 1.0.3 in a matter of hours, they also had the Linux version up at the same time! That’s awesome, the first patch was delayed on gog/linux and I was worried it might fall behind. I have a Linux laptop and the game runs very well! Everything looks great. Can’t wait to play this on PS4, will there be a physical release? Good to see that you guys are still working on the game, we see so many devs abandon their games after the 1.0 update so this is a breath of fresh air. Nice – this is the game that made me remember why I like games again after one too many AAA FPSs, and to see it so well supported and your success with it, is great. One quick question – will the next Quests include any updates to the Omnigilder quest, where they talk about conquering all other guilds?